Image: Mark Cuthbert/UK Press via Getty Images. She may be a world leader, but Queen Elizabeth II’s annual Christmas broadcast reminded us there’s another role in her life she holds just as vital — the matriarch of her family. “It’s been a busy year for my family, with two weddings and two babies and another child expected soon. It helps to keep a grandmother well occupied,” the queen noted during her speech. And she certainly has a point. In May, Prince Harry wed Meghan Markle, now the Duchess of Sussex, in what proved to be one of the most highly anticipated ceremonies in royal history. Princess Eugenie also said I do in 2018, marrying Jack Brooksbank in October. As far as great-grandchildren go, the year saw Prince William and the Duchess of Cambridge, aka Kate Middleton, welcome a third child, Prince Louis, in April, followed by Zara and Mike Tindall’s second daughter, Lena, in June. The queen also gave a sweet nod to Harry and Meghan’s first child, which they’ll be welcoming sometime in the spring of 2019. But it wasn’t just weddings and babies the royal family celebrated this year. “We have had other celebrations too, including the 70th birthday of the Prince of Wales,” she said, alluding to the birthday of her son, Prince Charles, just last month. Clearly, being the matriarch of her family is a role Queen Elizabeth relishes — and such was a central message of her speech. “Through the many changes I have seen over the years, faith, family and friendship have been not only a constant for me but a source of personal comfort and reassurance,” she emphasized. 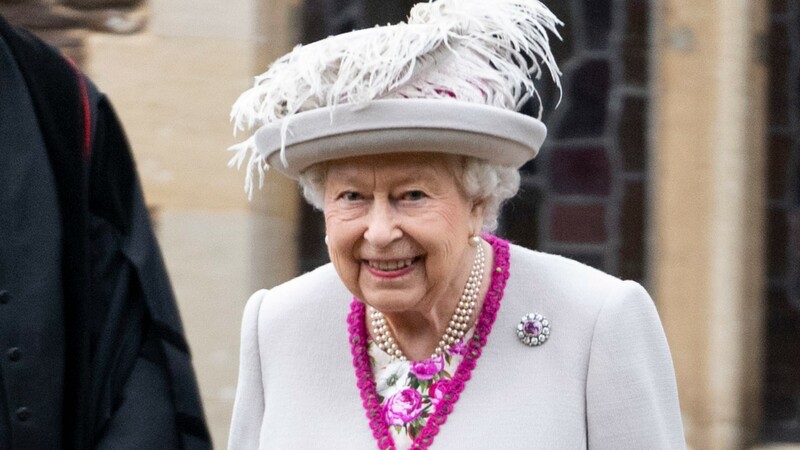 However, CTV News royal commentator Richard Berthelsen suggested the queen’s speech, in addition to signifying her love for family, was intended as a sort of proverbial baton-passing. Her Majesty was joined by several members of the Royal Family. In addition to her focus on family, Queen Elizabeth also centered her message on virtues such as respect and kindness. “Even with the most deeply held differences, treating the other person with respect and as a fellow human being is always a good first step towards great understanding,” she said. Per tradition, the speech was prerecorded so the queen could spend Christmas with family at her Sandringham estate in Norfolk. On Christmas morning, she attended service with Charles, William, Kate, Harry and Meghan at St. Mary Magdalene Church.